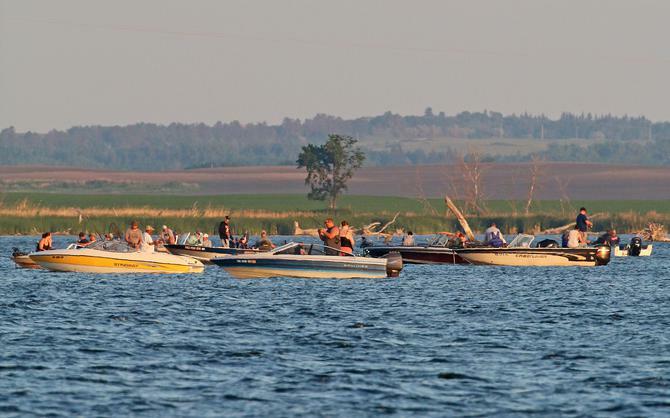 A couple of weeks ago I highlighted a status report featured on the North Dakota Game and Fish Department’s weekly webcast, Outdoors Online, relating to the Missouri River- Lake Oahe walleye fishery. This week, I’ll summarize the webcast’s recent Devils Lake walleye population update featuring biologist Todd Caspers. The good news moving forward is that from 2016 to 2018 we had pretty good walleye reproduction, and coupled with stocking efforts in 2016 and 2017, we should again see more “keeper” size walleye for anglers in the next couple of years. There is a full section of questions and answers on various versions of walleye size restrictions and the year-round open fishing season on the Game and Fish website at https://gf.nd.gov/fishing/faq .